A festive feather tree in shades of green on a dark red background adorn this Feather Tree Cricket Footstool by Chandler 4 Corners. A festive feather tree in shades of green on a dark red background adorn this Feather Tree Cricket Footstool by Chandler 4 Corners. 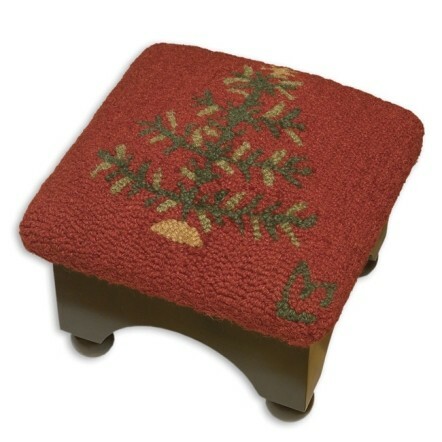 The 100% hooked wool top measures 12" x 12" and the stool stands 9" high.